Alumina Ceramic Lined Coal Pipe lend excellent resistance towards corrosion. The tightly packed ceramic material prevent the pipe and bends from getting wear. Ceramic tile lined pipe using ceramic-metal composite production technology principle, with Al2O3 as raw material. Special Corundum ceramics made of rare metal oxides as solvents and sintered at high temperature by 1730 ℃ through bonding, welding, mosaic, riveting and socket technology, a variety of wear-resistant ceramic pieces, block brick materials in the pipe wear surface, so as to form a surface with excellent wear resistance, and the matrix is still using the composite pipe of ordinary metal. the use of tools to remove the surface of steel body clean. the raw materials can be used even after mixing. 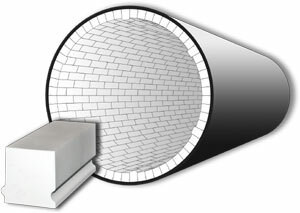 ceramic tube surface to form a smooth surface. after passing the test storage. 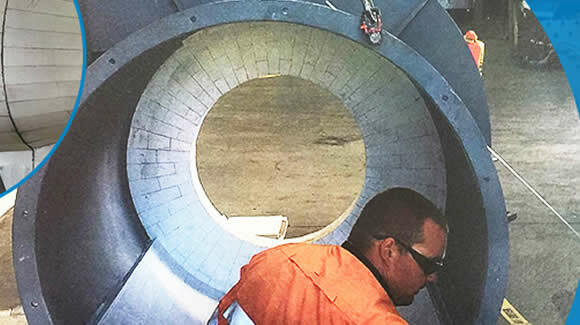 The use of Ceramic tile lined pipe and fittings is ideal in services that are prone to erosive wear, and where standard pipe and fittings would fail within 24 months or less. 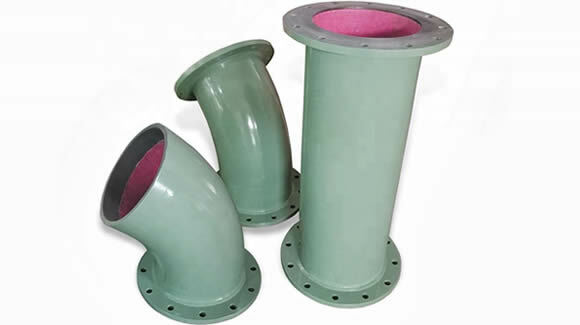 The ceramic lined pipe has a characteristic in its new shape of a ceramic tip for which we have applied for a patent. A conventional ceramic tip was arranged with a certain gap between tips in a steel pipe so that the pipe was damaged at the gap before the tip was worn out. 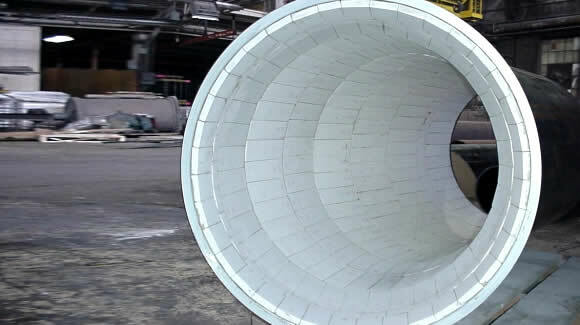 The newly developed ceramic tip has a shape with no straight line portion parallel to the transport direction so that the steel pipe is protected until the tip is worn out. THe tailings that are in the pipeline hydraulic transport,wich are the phenomena known as the wear abrasion,fatigue,impact. Have seen that,the use of a tube is 6mm in lenght,the pipe wall thickness was 20mm,and after 8 mounths of using,the bottom is correded till the pipehas 1mm of thickness. The pipe lined by Sunny Steel has the advantage of the 3mm to 4mm of thickness after 12 mounth of use, ten times more than life to the pipe.Guaranteed protection against abrasion. The direction of alignment of ceramics in zig zag,have excellent resistance tc friction of abrasive agents such as sand,gravel,gravel,tailings with solid particles,scale,coal,pulp, tailings from phosphate,salt slag, sludge,ash,.. 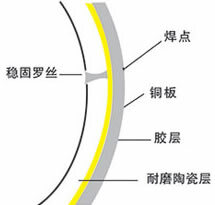 Wear resistant ceramic lining is AL203 as the main material, with rare metal oxide as solvent, after more than 1700℃ high temperature roasting to special ceramic, embedded into rubber , polyurethane or mild steel for the purpose of low to moderate impact and highly abrasive sliding application. The ceramic pipe lining of hydraulic and pneumatic conveying transport has efficiency and economy,especially in steel tubes. Where they have great advantages, increasing the time of life. Therefore these sites,the curves,are lining internally against abrasion,including the firt segment straight after leaving the region. THe tailings that are in the pipeline hydraulic transport,which are the phenomena known as the wear abrasion,fatigue,impact. Have seen that,the use of a tube is 6mm in lenght,the pipe wall thickness was 20mm,and after 8 mounths of using,the bottom is correded till the pipe has 1mm of thickness. The pipe lined by Dahua has the advantage of the 3mm to 4mm of thickness after 12 mounth of use. We are sure that from pure-hearted cooperation we can establish good relationships. Feel free to contact us, we are sure to satisfy you with our professional information, top quality products, best price, and efficient services. The perfect choice Resistance to abrasion is superior to all material available on the market. The ceramic alumina pressure has superior performance against abrasion,wich has five times more resistant than the conventional ceramic. If the objective is protection of components and reduced maintenance costs,the correct application of anti-abrasive lining led immediately to track the economy. If the objective is protection of components and reduced maintenance costs,the correct application of anti-abrasive lining led imediately to track the economy. The ceramic pipe lining of hydraulic and pneumatic conveying transport has efficiency and economy,especially in steel tubes.Where they have great advantages, increasing the time of life.